The EXO ezEX-RJ45 Termination System is the perfect mix of tools for new or experienced installers. You don’t want to leave home without these essential tools. 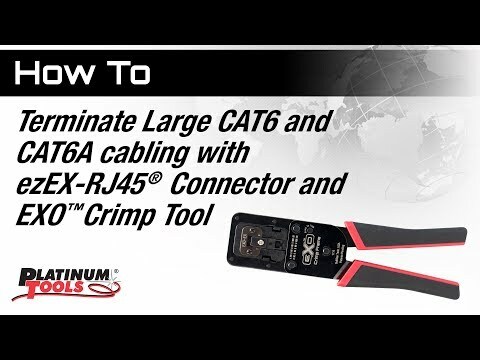 This kit includes electrician scissors, cable jacket stripper, EXO Crimp Frame, EXO-EX Die™ and 10 ezEX™44 connectors. 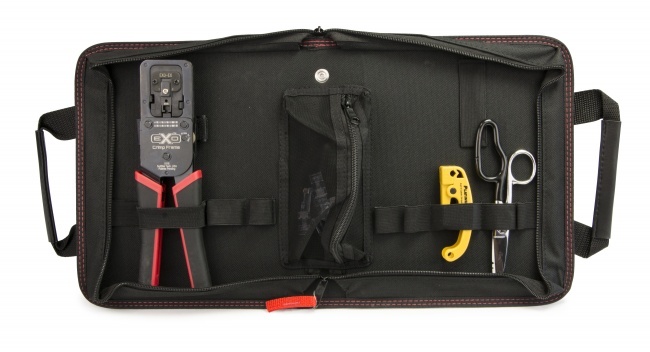 All tools and connectors come neatly organized in the Platinum Tools heavy-duty nylon zippered case.